In this section, we discuss how to choose the right camera or camera configuration for the task at hand. Even if you have only one camera to use, you can figure out how to optimize your set-up for the job. Figure 1 A DSLR camera attached to a 15mm rod system and video tripod. 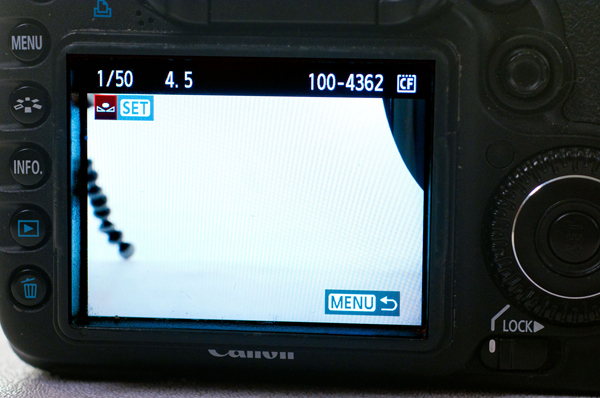 Shooting video on a DSLR camera is currently not a well-designed experience in terms of ergonomics. 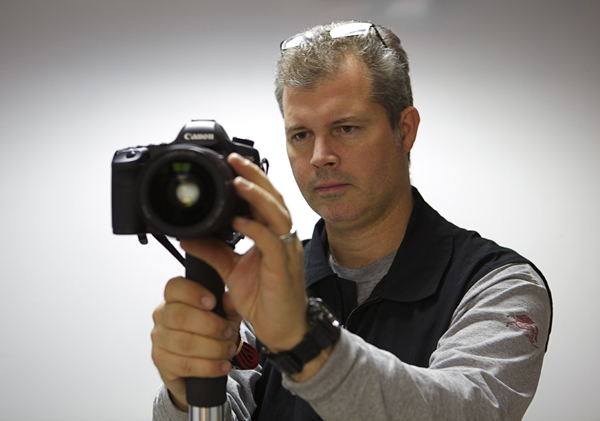 The technical need to shoot with the camera’s mirror open requires the photographer to compose a shot using the DSLR’s LiveView feature or LCD monitor. As such, the camera is often held in an awkward way. These non-standard shooting grips may require you to evaluate your shooting style and modify your approach. The camera body you choose should fit your hands well. If the body is too small, your hands will get in the way of the controls. Conversely, if the body is too big, you’ll find the body hard to hold. With that said, you won’t always be holding your camera. 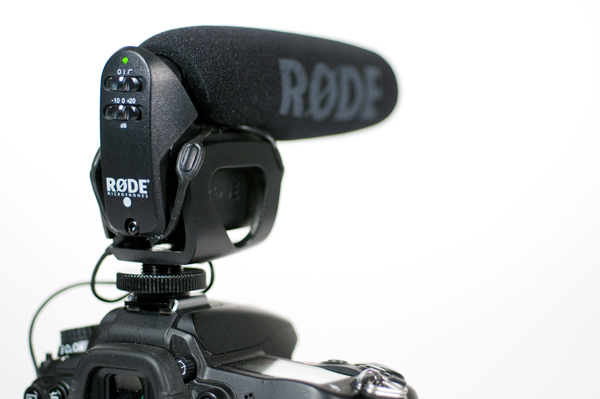 All camera bodies can be easily mounted onto support equipment like a tripod or attached to accessories that make it feel more like a traditional video camera. The weight of the camera body you choose is also important. Entry-level video DSLRs tend to be rather light, which is great for travel. However, this can make them hard to handle, especially when a large lens is mounted (making the camera very front-heavy). Pro bodies (or bodies that have battery grips installed) tend to be heaviest and provide a nice counterbalance to long lenses. Be careful not to choose a body that is too heavy for what you can handle, especially if you intend to do lots of handheld work. If the camera is too heavy, you’ll end up with shaky footage. Camera support is one of the most important aspects of video shooting. The entire look and feel of a video shoot is tied to the point of view that it provides the viewer. Creating a stable platform that lets the camera be positioned at various heights is fundamental for most professional videos. Photographers also often desire mobility when shooting video, but the form-factor can make this challenging. A whole side-industry has cropped up offering a number of rigs to help you further refine and expand a photographer’s ability to shoot video with a DSLR camera. Most of these rigs are designed to help distribute the weight of the camera (putting more of it on the shoulders, arms or body). Good handheld operating is helped greatly by having a balanced rig close to a photographer’s center of gravity. Movements are much smoother if they originate from this center. And it’s also possible that you want some kind of jerky or frenetic camera movements in your video, but these need to be used carefully and with real purpose in mind. Generally, unstable camera movements simply make video unpleasant to watch. In general there are seven types of camera support used with DSLR video cameras. Motion stabilized - In this variation on handheld shooting, the camera is attached to a device that uses some sort of mechanism to smooth out the movements of the camera. The use of weights and springs helps achieve a better balance. This was originally developed by the Steadicam company, which offers its own hardware devices to achieve smooth movement. There are quite a few other support devices available, with new manufacturers coming online all the time. 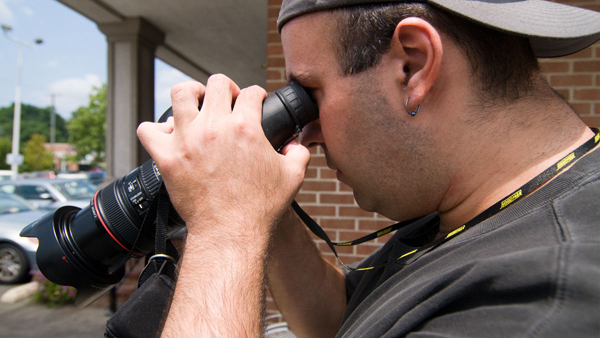 Lock down - The camera can be firmly attached to a tripod. Any sturdy tripod will do the trick, but make sure it is rated to carry the full weight of the video rig. Fluid head - The camera can stay on a tripod and the tripod stays still, but the camera is tilted or panned as the shot is happening. This typically requires the use of a fluid head on your tripod. 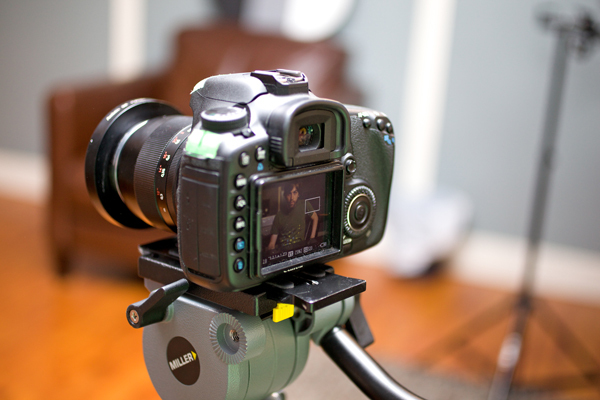 Be sure to explore options for adjusting tension and balance for the camera. 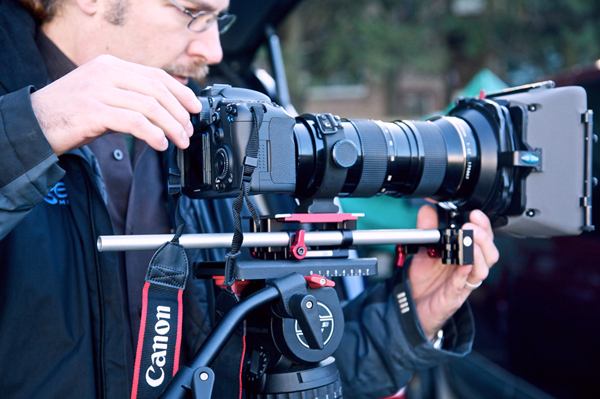 Slider - The camera is mounted on a rail that provides smooth vertical or lateral movement. A slider is very much like a dolly, it is just far more portable and can be operated by a single person. Dolly - Dolly shots are created by attaching the camera to some kind of device that rolls. This might make use of some kind of portable track, or it might roll freely. Shots can be set up to move vertically or horizontally. Jib - A jib looks like a lighting boom, with the camera placed where the light head would normally go. It provides three-dimensional movement of the camera. Jibs with a DSLR camera can be very tricky as they often require the camera to be remotely controlled. 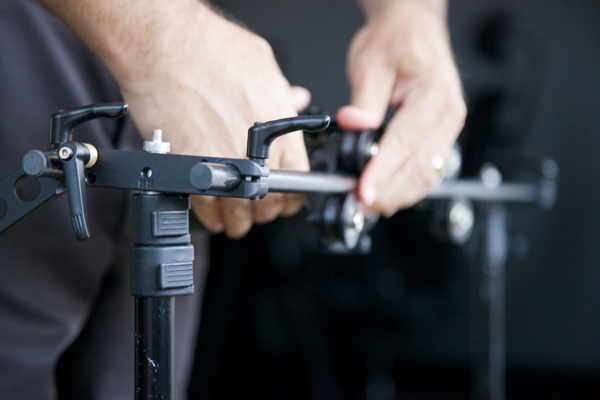 The most common type of camera support rig is one based on 15mm rods. These are configurable in many ways, including additions of follow-focus tools, matteboxes, and more. Rigs vary greatly in price and features. Some are quite simple and attach a gunstock-style rig to the camera so you can brace it against the shoulder. Others offer features like shoulder pads and weights to help balance the camera and lens. These rigs typically require the shooter to keep one hand on a grip and the other on the lens or follow focus to adjust the shot. 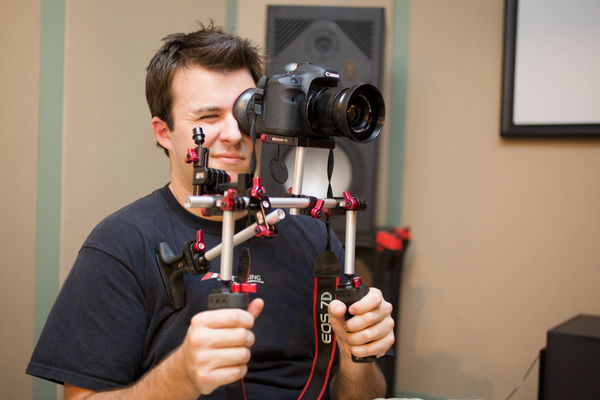 There are a lot of camera rigs on the market. Here are a few places to explore. While tethered shooting is reasonably common among still photographers, it’s a rare exception for video shoots. Most DSLR cameras are not capable of a real tethered shoot which outputs a recordable signal from the camera’s HDMI port. And even when it is possible, it’s often not desirable, since the uncompressed output from a camera like the Nikon D4 requires a very high-performance computer to capture the signal. In most cases, DSLR video capture is written to the camera’s memory card. It’s important that these cards can keep up with the speed requirements of the camera, or the video clip will be destroyed. Some camera manufacturer’s software will allow the direct connection of a camera to the computer by USB cable. This can allow the automatic transfer of the video file once a clip has stopped recording. While this is not tethered shooting in the traditional sense, as the file is first written to the internal media card, it does offer some of the workflow advantages of a tethered shoot. 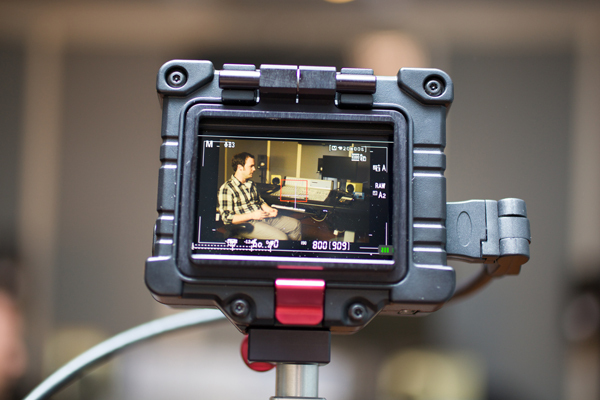 One major aspect of capturing video you need to be aware of is the recording length limitation of your DSLR. Your camera can only record video for a finite amount of time before you need to stop it (or it stops recording). This recording limitation usually varies from 5–20 minutes per clip (dependent on frame size, frame rate, and manufacturer). These limits might not seem like severe restrictions. But if you’ve used a traditional video camera, you’ll be rudely awakened by the fact that most video-enabled DSLRs have such short recording length limitations. 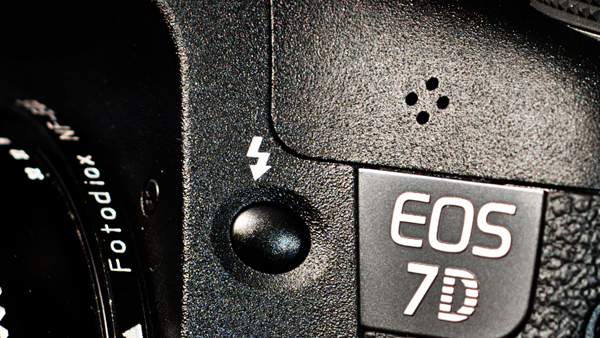 Why do DSLRs have a time limit? Most video-enabled DSLRs format their memory cards using the Windows FAT32 file system. This system limits files to 4GB or about 12 minutes of continuous recording. Other manufacturers impose even lower limits due to hardware performance. Although this time limit might sound crippling, in most cases you can work around it. If you’re recording an interview or event that consists of long segments, make sure you know your camera’s limitations. Remember, you can tap the record button once to finalize the current clip and then tape again to start recording a new one. Correct exposure for video capture is complicated by several factors. Even if you’ve mastered it for stills workflows, additional limitations make video capture more difficult. As a photographer, you can take advantage of shooting in different program modes for unique situations. Perhaps you enjoy the ease of aperture priority. When shooting video, you will generally achieve best results by switching all controls over to manual. Your basic tools for exposure control are ISO and aperture. Unfortunately, with video you’ll lose the shutter option as a choice because you’ll want to keep close to 1/50th or 1/60th for natural-looking motion. To simulate a true filmic image, you need to use the optimum shutter speed to accompany the 24p frame rate in a DSLR. You can use this simple formula: one second ÷ (frame rate x 2). For example, when shooting 24fps, you would set your shutter speed to the nearest value, which would generally be 1/50th of a second. At 30fps, you would use 1/60th of a second. Following these guidelines will help ensure that the motion blur created by the camera looks natural. You can manipulate shutter speed for a stylized approach, as well as to affect the amount of light hitting the camera’s sensor. However, sticking to a shutter speed of 1/50th or 1/60th of a second is a strongly recommended workflow. Figure 10 Learn how to combine aperture, ISO and shutter speed to properly expose video on your DSLR camera. When shooting video, it is important to achieve a white balancing setting that gives you the desired color temperature at the point of acquisition. While you can apply filters or effects during editing, these can add additional processing time to your workflow. Taking the time to manually white balance your camera will reduce shifts in color temperature as the subjects move in the scene. The last thing you want is shifts in color . All digital cameras have some white balance presets for common lighting types. These may get your white balance close enough, but for high quality work, you’ll want to create a custom white balance. The chart below outlines some typical color temperature settings for different light sources. The following list is a rough guide of the color temperature of various light sources. Note that this table will get you close, but it won’t be absolutely accurate. Paint color, light fixture design, time of day and more can all shift the temperature one way or the other. To be precise, you’ll want to consider creating a measured white balance from a reference card. Figure 11 Most professional cameras let you manually white balance choose or you can use a list of helpful presets. White balance has a color temperature component, which describes the change from yellow to blue, but it also has another component, the green-magenta axis, which is generally referred to as Tint. Unfortunately, there’s no neat table of values you can use to set tint. If you are dialing in a setting, this one is generally a matter of trial and error. Once again, this is most accurately set by taking a reading from a reference card or using a good color meter. Figure 12 Using a reference photo, it is possible to calibrate the camera’s white balance. In addition to white balance presets, many DSLR cameras offer presets for how the videos are toned. Camera makers have names such as: “standard”, “portrait”, “landscape”, “neutral” and “faithful” for these presets. These are essentially a combination of tone curves and saturation settings applied (baked-in) to the movies. Generally speaking, these styles or looks should be avoided. To alter these “looks” later is problematic, as much of the original information is discarded (leading to problems like too much contrast or crushed blacks). For this reason, it’s generally best to choose to shoot with a “neutral”, “flat” or “natural” style. You can achieve better control over color grading and image stylization during the postproduction stage in your video editing application. 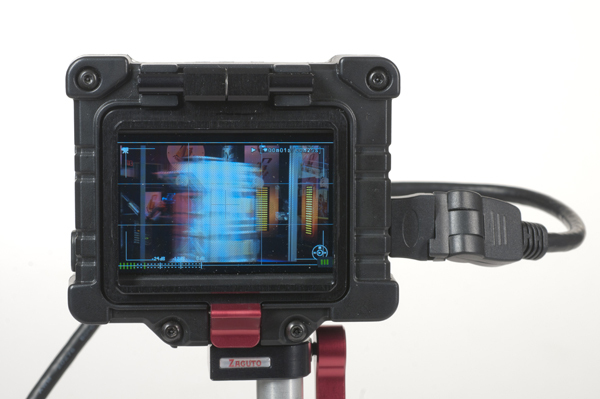 Figure 13 The Zacuto Z-Finder provides a higher resolution screen as well as useful overlays for audio and other meters. More room to see: The ability to see what you are shooting on a larger screen is helpful for checking your framing and focus. 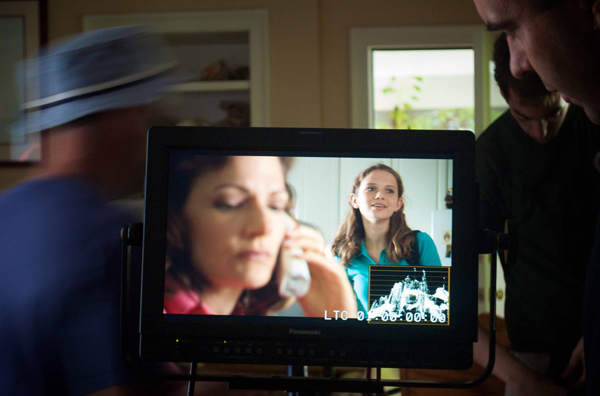 A large monitor is also ideal for showing others on set or location what’s happening in the shot. Gauge exposure: External monitors are the best devices for making critical decisions about exposure and color because they can be calibrated to strict contrast and color standards. Some devices even offer evaluative tools like waveform monitors and vectorscopes which help measure the color and exposure of the video signal. You may also find “zebra” bars which can be set to vibrate to show areas of problem exposure, as shown in Figure 14. Figure 14 High quality camera monitors can show you where you are overexposing your video. Focus Detection: Some monitors have the ability to show what parts of your image are in focus, as shown in Figure 15. This is typically called “focus assist” or “focus in red”. Figure 15 You can also find focus detection on some monitors. To connect your DSLR to an external monitor, you’ll want to use the HDMI port on your camera as it sends out a very accurate digital signal. This means it provides a higher resolution image than the analog video out. Many modern HD televisions and computer monitors offer HDMI connections. You can also use adapters to convert an HDMI signal to use a DVI connection (common for computer monitors) or SDI (used for professional video monitors). There is an often-repeated mantra in the film industry that states, “audio is half the picture.” The meaning here is that viewers expect great sound. Without it, they’ll stop paying attention (or even watching). Unfortunately, camera manufacturers often skimp on the quality of audio recording. These choices are often made to save costs and are worsened by the fact that most DSLR manufacturers have little to no experience with recording sound (just great images). Figure 16 DSLR video cameras have internal microphones, but they are not very good. Figure 17 An external microphone can add significant improvement to the audio tracks. Even with a good microphone, unfortunately, nearly all DSLR cameras still do a substandard job with audio. That’s because they use a high level of compression to write the audio tracks into the video file. This compression changes the entire sound. For some uses, this audio may work adequately, but for really high quality, you’ll want to invest in dual system audio gear. 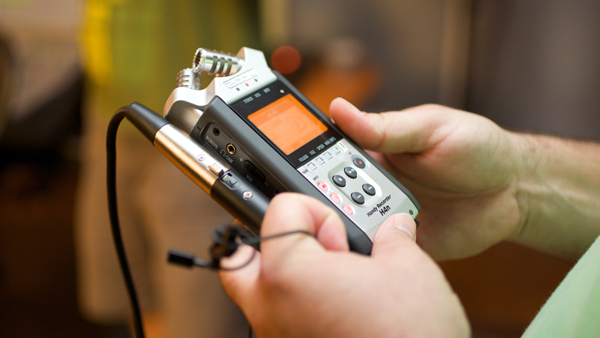 Figure 18 Using a dedicated audio recorder gives you professional monitoring controls and more options for microphones. Higher-quality audio file formats can be used. Audio can be sampled at a higher frequency for greater accuracy. Professional grade microphones can be used. Three-wire XLR cables can be used, which reduce the electric interference hum that cables sometimes produce. The microphone can be placed significantly closer to the subject. Generally the microphone should be within 6–12 inches of the person talking. Getting the camera this close would be very difficult and create several limitations in composition (even with zoom lenses). Several different brands of audio recorders are for sale. Most record to either removable media like an SD card or to internal flash memory. Be sure to avoid the more heavily compressed options (such as MP3). Most editing applications prefer an AIFF or WAV file that’s recorded at 48kHz and 16 bits per channel.